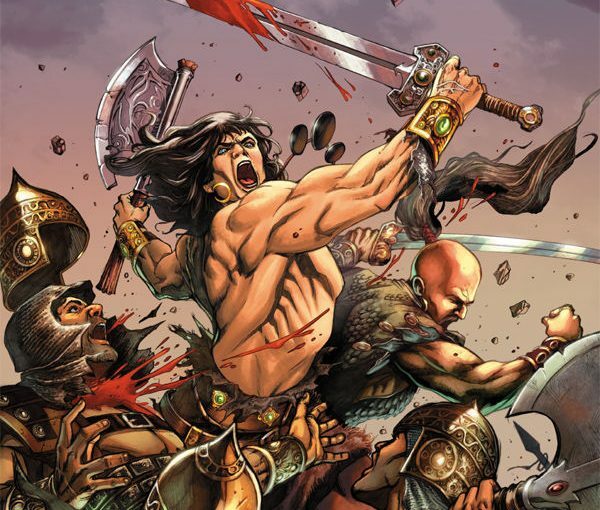 Review – Conan the Slayer #4 : Evil reveals its self!! Conan the Slayer #4 kicks it up a notch with action in this arcs mid-point, In the first issue we briefly seen Kyrlo encounter with an unknown creature, the creature then promised to help Kyrlo take the crown form his father but not without granting the creature a favor in return. A lot was reviled in the first few pages, for one the creature is a Ghul who has been wondering battlefields for ages, it also seems to enjoy death destruction, the Ghul is seen tracking Conan and company for reasons unknown. As for Conan, Taraslan and Oskana they are traveling on foot back to the village, and when they reach the village they are surprise to see Taraslan’s father’s funeral pyre. Knowing Kyrlo is the cause of Hetman’s death Conan confronts Kyrlo and calls him out in front of the village, A fight breaks out and when Conan mercilessly takes out all of Kyrlo’s followers, Conan’s savage nature is shown in this skirmish reminding the readers that he too can be as dangerous when he needs too. With Kyrlo capture Conan suggest Taraslan should take out his brother to avoid future conflicts that will happen if he lives, but Taraslan doesn’t agree and instead he locks his brother away in a tent. 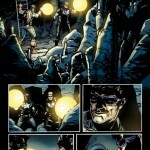 Later that night Kyrlo is confronted by the Ghul who agrees to help him escape. Conan and the others are attack by dragon like creatures summoned by the Ghul, the attack was just a distraction for Kyrlo as he is seen fleeing with one of the monsters, an angry Conan promises Taraslan that if he sends him after Kyrlo he will take him. Conclusion: This was an action base issue this time around, although we do get a little back story about the Ghul, it looks as if the Ghul will be the main villain from here on out and that’s a good little twist for this arc. 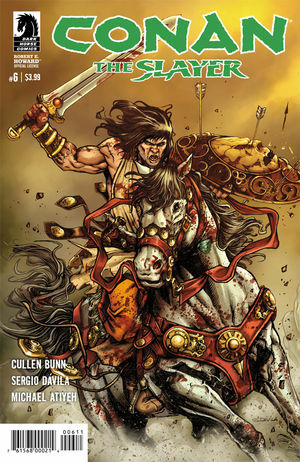 The most intriguing part of this issue is Conan’s ruthlessness when he confronted Krylo, at one point he was pulling Krylo by his hair and was going to throw him into the Hetman’s funeral pyre, for me I found that moment to be significant because most writers rarely write him that way and I found that to be refreshing. 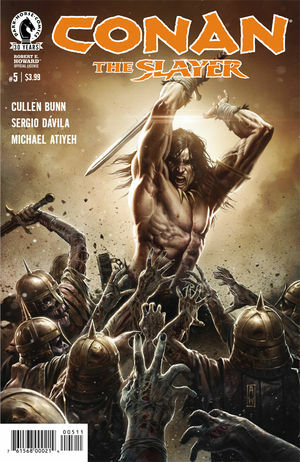 Posted on November 8, 2016 November 8, 2016 Author Anthony DavisCategories Comics, Featured, ReviewsTags Action/Adventure, Cimmerian, Conan, Conan The Slayer, cullen bunn, Darkhorse Comics, fantasy, Sergio DavilaLeave a comment on Review – Conan the Slayer #4 : Evil reveals its self!! Lies, Betrayal and treachery are the focal points in this issue, throw in a little death and you got yourself a classic Conan arc. The being of the issue the Lord of Kharwarism, Jehungir and an unknown sorcerer discuss the loss of his men, because of lies a lot of them have been either killed or missing and the suspects for this confusion are the Kozaks, because of Kyrylo’s obsession of becoming King he’s made moves that has put a target on the Kozak Tribe and now it looks as if Jehungir will attacking them soon. We last seen Conan and company being attack by Trolls with no conclusion, it turns out the trolls had gotten the best of them and has taken them hostage. Conan meets a troll woman and in typical Conan fashion displays his crudeness towards her, she offers Conan his freedom but only if he becomes her mate, once again Conan refuses and the queen shoves a fish like object in his mouth which causes him to see the troll woman in a human form, at first he thought it was some kind of trickery but in actuality this is her true form. Meanwhile Oksana, Taraslan and a Turan soldier are also having trouble figuring out what exactly are the trolls, each of them see something different, Oksana and Taraslan see sea like creatures while the Turan soldier sees demon hellspawns. 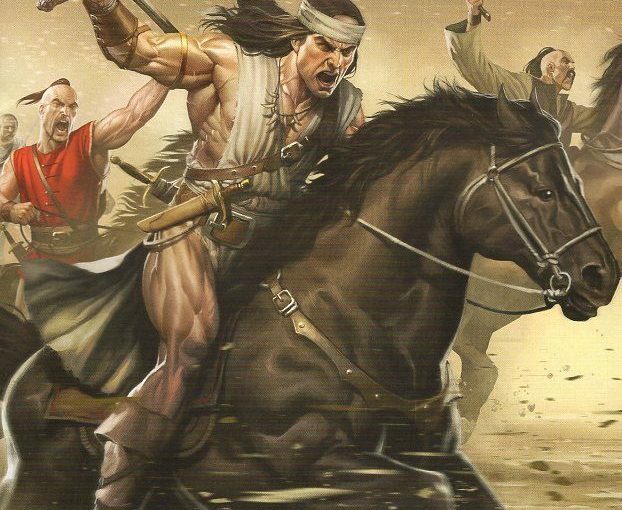 A turning point in the issue is when the three of them talk about history between the neighboring tribes and the soldiers of Turan, its soon reveal to Taraslan and Osksana that Kyrylo is behind the attack. 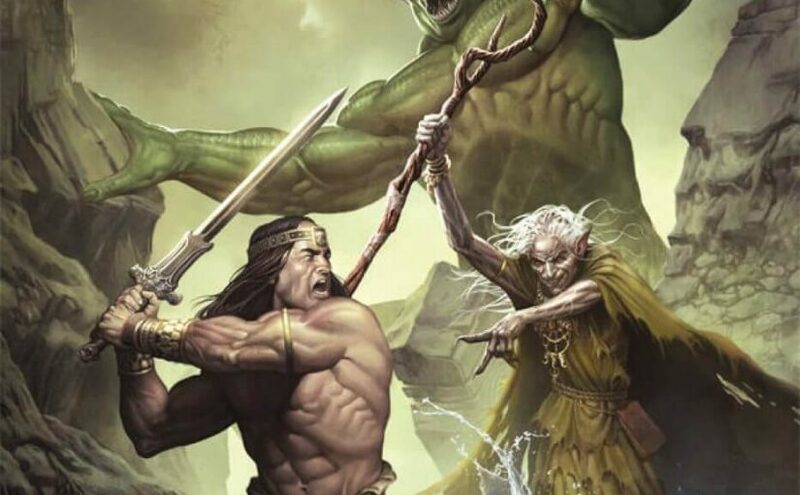 Action picks up when Conan escapes from the woman and informs the others that their capturers aren’t trolls, sea monsters or better yet demons, in reality they are humans and their leader is a sorceress. A comedic moment happens when Conan and company leave the wounded Turan soldier behind for the sorceress. The issue ends with Kyrylo pouring a salty like substance in to his cup of tea and then walking it to his father as he sits. Conclusion: It looks as if we had hit the mid point of this arc and if I were to give this arc a rating it would be average at best, the reason being the pacing is extremely fast for my liken. But it does have its strong points, like the conflict between Kyrylo and Taraslan. The issue jumps off with Kyrylo runs into a demonic corpse like creature who surprise Kyrylo by telling him solve all his problems with a pact, being the cruel and conniving man that he is, Kyrylo makes a pact with the unknown creature. After surviving his deadly battle Conan has taking refuge in the Kozaki Camp in order to heal, it looks as if Conan has found his place among its people. The leader Myklo has shown a lot of trusts in Conan despite the manner the two have met, with Conan watching over his sons Myklo seems to think everything is good with him and his sons but Conan hints that the oldest son Kyrylo is not to be trusted and that his blind eye towards his sons could play against him in the future. 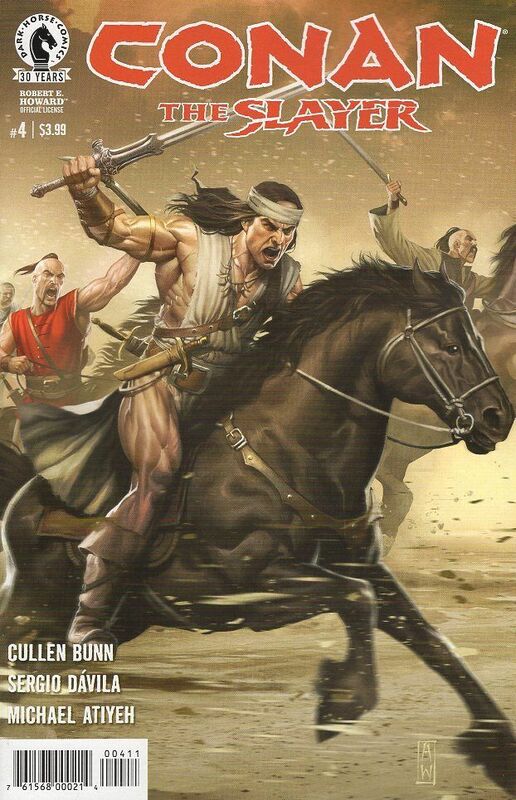 On a mission to find the missing scouts, Conan, Oksana and Taraslan come across a totem like corpse with mysterious symbols written over it, taking it as a warning sign they toward around but are quickly ambushed by unknown armored soldiers, Conan and company easily dispatch the armor soldiers leaving one alive, assuming the soldiers were paid off he questions the man only to find out that the youngest made a deal he didn’t fulfill, At that moment Conan is hit in the head by someone. Oksana and Taraslan are shocked when they see two giant size trolls walking up to them. 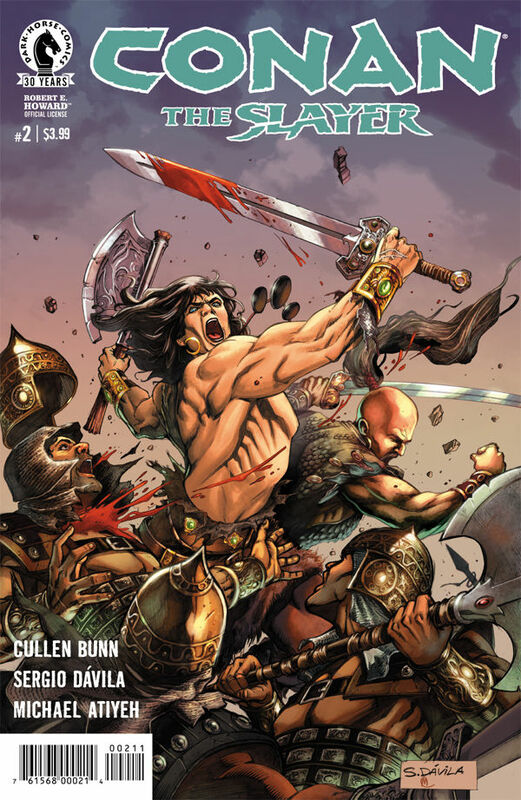 Conclusion: Conan The Slayer #2 features everything a true Conan story features, that’s betrayal, action, and mystery, the question is when this arc hits its conclusion will it be an entertaining or will it be just another story upon many of its kind. As for right now it’s a little too early to judge, once it hits the 5th and 6th issue is when you can really give it a proper review, But for now I’ll say it’s starting off pretty well. 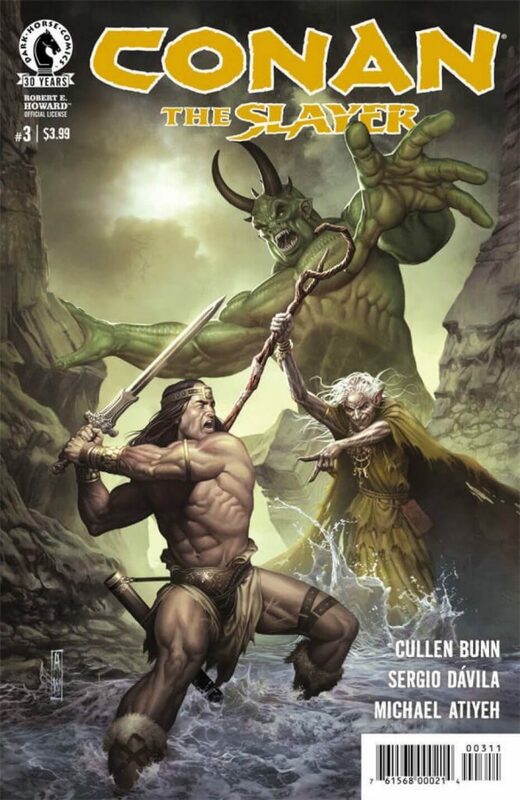 The writer Cullen Bunn seems to understand the lore of the Conan franchise and the tone of which it’s been establish in recent runs by other writers and for that I’m kind of optimistic towards this arc. 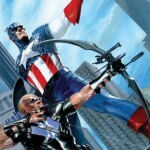 Captain America and Hawkeye are teaming up again, with so many conflicts they’re willing to put some of it aside for the greater good. Cullen Bunn and Alessandro are on board to help launch the new book later this month (April 25). Their adventure is a bit abnormal, they’ll be fighting dinosaurs and other prehistoric friends while trying to retain some mutual ability to work together in the thick of it all. Some words from the writing duo on this new character mashup. “I’ve always liked Stegron,” says Bunn. “He’s a fun dinosaur guy with a mad scientist’s brain. More importantly, though, his particular power-set made him a perfect fit for the story I had in mind. 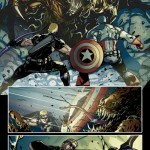 This is a strange, creepy adventure for Cap and Hawkeye [and] it’s Stegron who sets everything in motion. 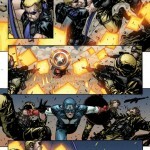 “On the surface, Cap may be a little too ‘stuffed shirt’ to be versatile, but nothing could be further from the truth,” Bunn insists. 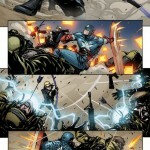 “[That] may be the public persona, but Cap is just as human as the next person. He has his moments of doubt, humor, awkwardness and self-reflection. 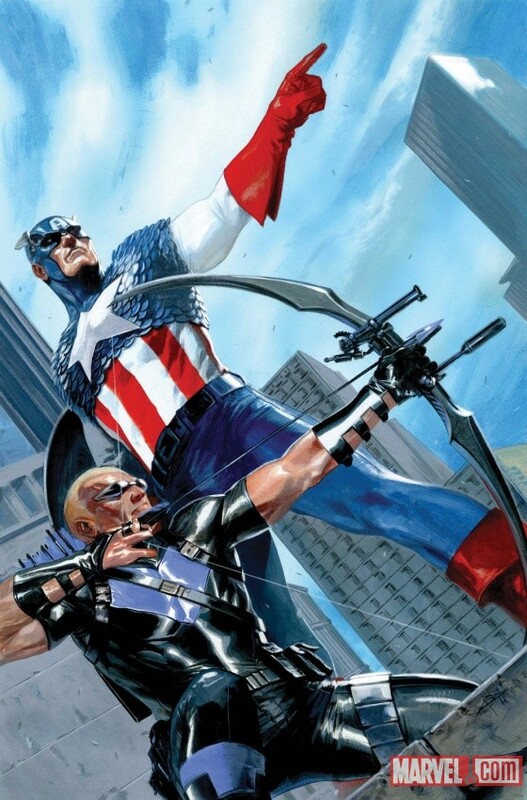 For those wondering, this will not end up as a steady pairing with Hawkeye and the Captain, instead it will evolve as a group event series allowing Captain America to interact with many heroes in the Marvel Universe and develop his character even more.